Just a quick post from me today, as I’m not sure where the time has gone on this rainy Friday! 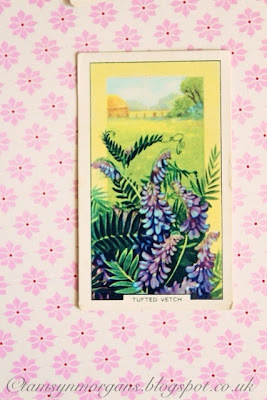 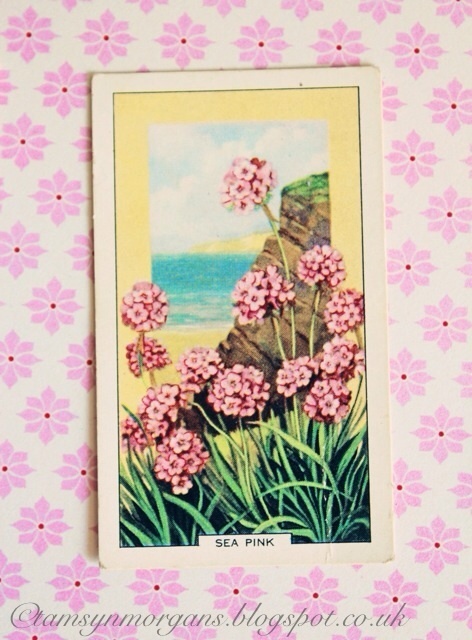 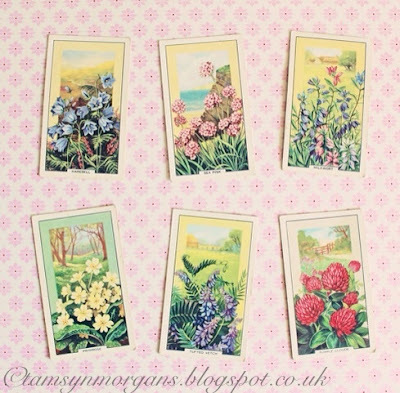 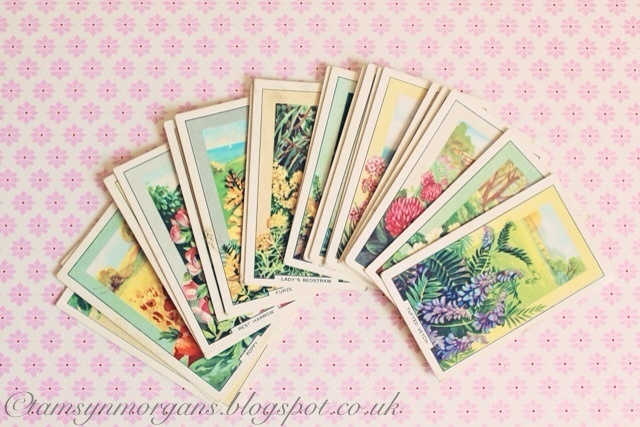 I’m looking forward to doing some crafting this weekend, and I thought I’d use these pretty vintage cigarette cards. I’m thinking of hanging them on a mini washing line across an old picture frame, with some little pegs…watch this space!